Trusting the government, especially Nigerian government is the worst mistake anybody will ever do in his/her life. I don't know why and to be honest, I don't want to know why. The lies is too much and this is not only synonymous to APC - led administration, it was the same thing with PDP and they government they preceded. Frankly I don't know if it is the individuals in this government or just the way the government is structured. I believe a government that wants to work to the advantages of the masses will endeavor to structure herself the best possible ways to achieve that but, well, this words are actually alien to the ears of our ladies. They prefer to lie and lie and lie. Imagine a whistle-blower that risked his life to help the government is now find it difficult to receive his percentage of the money while the whistle-blowers that their information tuned out to be false, has long be cooling their heels in the prisons. Talk about hypocrisy and nepotism. 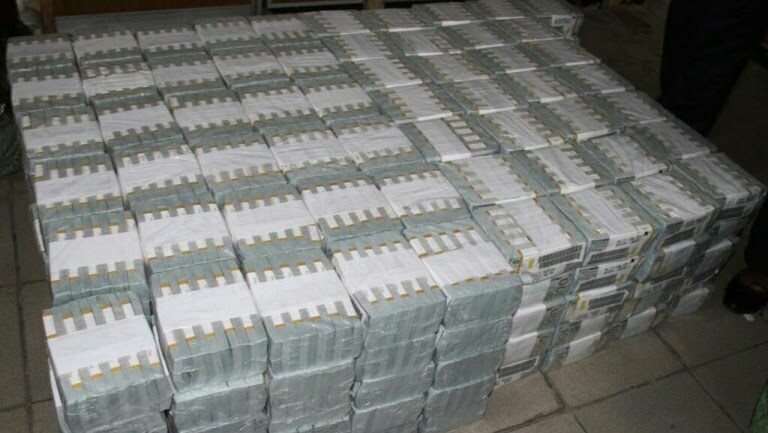 Yakubu Galadima, the lawyer for the whistle-blower, who informed the Economic and Financial Crimes Commission of the $43m, N23.2m and £27,800 (N13bn) recovered from an Ikoyi apartment, says his client will not accept anything below five per cent commission. Galadima said this during a chat with one of our correspondents on Saturday. “If you blow the whistle and the government recovers cash, you are entitled to between 2.5 per cent and five per cent. The maximum limit is five per cent. “According to the policy, if you blow the whistle and it is below N500m, you get four to five per cent because the higher the amount that is recovered, the lower the percentage that is given. This is the global best practice. Galadima had stated last week that the commission his client was expecting from the Federal Government was N860m and not N325m. He had also stated that the commission should be paid based on the exchange rate at the time the money was recovered and not the current one. Attempts to get comments from the Ministry of Finance were not successful as calls and a text message sent to the Director of Information in the ministry, Mr. Salisu Dambatta, were not responded to. Beneficiary to be paid before Thursday, says ministry official. Meanwhile, there are indications that the Ministry of Finance is awaiting the final clearance from the EFCC before it can pay the Ikoyi whistleblower. Officials in the ministry confided in one of our correspondents that the whistle-blower was expected to be paid before the end of this month. However, it was gathered that while the ministry was ready to make the payment, the move could be delayed as administrative work was still ongoing on the issue. The official said the ministry had put in place detailed procedures for processing payments under the whistle-blower policy. These procedures, according to the official, were designed to prevent abuse, legal disputes and to ensure protection of the information providers. He stated that the identity of the information provider must be verified, adding that there would be calculation of the amount payable and computation of relevant taxes. “The ministry of finance is not directly involved in the recovery of looted fund; that is the responsibility of the various security agencies. “Our role is to make payment and you will recall that last week, the finance minister said payment would be made this month to the person who assisted in the recovery of looted funds including the Ikoyi whistle-blower. “As of the end of October, over 5,000 whistles had been blown and about 75 per cent of that came from phone calls. So, you can report on the website, email, text message or phone call.